Dryness is a very common skin condition that is characterized by rough and scaly skin. Along with the dullness and redness, dry skin also intensifies the fine lines and wrinkles, making you look older. It often leads to itchy skin, which gets worse by scratching. The most common cause of dry skin is under active sebaceous glands, that decreases the sebum production. It is also caused due to environmental conditions, genetics and excessive bathing. People who have dermatitis, eczema and other allergies are more susceptible to skin dryness. 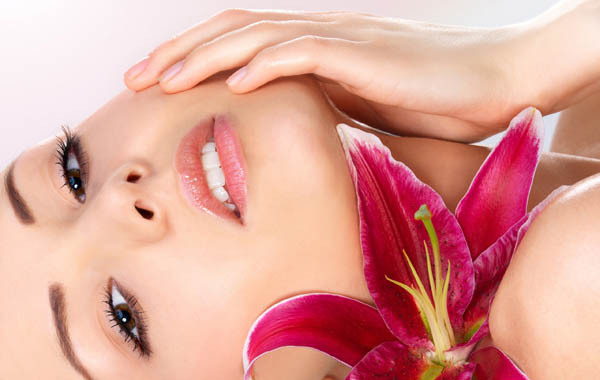 Follow these simple tips to make your skin supple and smooth. Moisturisation is necessary for the dry skin. You need to moisturize the skin frequently to combat dry skin. A vitamin E enriched moisturizer not only moisturizes the skin, but also prevent the blocking of skin pores. Apply a moisturizer twice a day to prevent the appearance of premature wrinkles on the face. This will help to restore the moisture, keeping the skin baby soft. Apply a day and night cream at appropriate time respectively. Day creams protect the skin from the harsh sun rays while night creams rejuvenate it as you sleep. Slather a moisturizer as soon as you step out of the shower as wet skin helps to seal in more hydration. Apply a second layer of moisturizer if the skin still feels stretchy. Keep a facial moisturizer by your bedside. This will make it easier to remember about the moisturizing part. An ideal moisturizer should contain Shea butter, ceramide, glycerin and hyaluronic acid, as they are excellent skin hydrators. In winter, switch to a rich moisturizer and in summer use a moisturizer with a high SPF. People with a combination skin should use a light moisturizer on the T-zone and heavier one on the rest of the face. A gentle exfoliation clears off the impurities without zapping moisture from the face. It removes the dead layers of the cells, revealing the fresh and moist skin underneath. Instead of using a harsh scrub, exfoliate the skin with a soft baby’s washcloth. This will exfoliate the skin without causing any irritation. Splash some water or milk on the skin and massage it slowly in circular motions. Exfoliate the skin at least three times a day to keep it supple. Cleansing the face is as important as moisturizing it. Most of the over the counter cleansers contain sodium lauryl sulfate, a substance that is extremely harsh for the skin. While purchasing cleansers for dry skin, look for mild and fragrance free ones. Avoid cleansers that contain alcohol as astringent can severely dry out the skin. Hydration is the key to well moisturized skin. A person suffering from dry skin should drink lots of water. Drinking two cups of water stimulates blood flow to the skin, improving the complexion. It also flushes out toxins from the system, carrying essential nutrients to the skin. A balanced diet will provide the essential nutrients to keep the skin healthy and hydrated. Incorporate at least two serving of vegetables and fruits in your diet. Foods high in water like kale, watermelon, cucumber, tomato and broccoli are excellent for hydration. Foods rich in omega 3 fatty acids encourage the delivery of nutrients to the body cells, including the skin. Eat foods like salmon, nuts, tofu and avocados to nourish the skin. Avoid alcohol, fried foods and cigarette as they can dehydrate the body, leading to dry skin. They also decrease the body’s ability to absorb fluid, leading to loss of water. The indoor heat causes the cells to shed off quickly, resulting in rough and flaky skin. You can place a humidifier in your room to add some moisture in the air. Running a humidifier at night prevents the air from becoming too dry and infuses moisture to the skin. Keep the humidity level at 50%. You can also place a pot of water close to your radiator for a similar effect. A bamboo fern and Boston palm can also help. These plants raise the level of water vapor in the air through transpiration. Taking long bath breaks down the body’s natural lipid barriers, leading to loss of moisture. Add a few drops of essential oil to your bathing water. The oil will create a moisture layer on the skin, locking hydration. Avoid steaming the skin as it can make the skin stretchy. Do not use hot water for taking bath. Hot water strips moisture from the skin, making it rough. Lukewarm water is ideal for bathing and washing the face. On hot days, wash your face with cold water to cool down the skin. Apply a hand cream or lotion as many times as possible to prevent them from getting parched and dry. Every time you wash your hands, dry them and apply hand lotion generously. Carry a travel sized bottle in your handbag for the on-the-go moisturizing. You must wear gloves during the winter to limit the exposure of the hands to the harsh weather. The hydrating properties of Vaseline can be very beneficial for dry skin. Vaseline is emollient in structure and forms a barrier that prevents moisture from evaporating. Apply a thin coat of Vaseline to lock the skin’s natural moisturizer. During winters, apply Vaseline before stepping out of the house. Apply it on cracked hands, feet, heels, elbows, knees and cuticles and wash it off after 15 minutes. Dampen your skin and smear a thin layer of petroleum jelly after applying the moisturizer. Sun damage is one of the main causes of dry skin. Protect your skin from excess heat and UV rays by wearing cap or carrying an umbrella. Avoid stepping out of the house if it is extremely hot. If urgently required, coat the skin with a sunscreen that contains SPF 15 or higher. Avoid applying chemical laden products as much as possible. Very often, dry skin is caused due to excess use of medicated creams for acne and wrinkles. Do not stop using the products. Use them less frequently as it can exacerbate dry skin. Apply a facemask twice a week to maintain the moisture levels of the skin. Mix egg yolk and two teaspoons of olive oil. Mix it well and apply on the face and neck. Leave it for 10 minutes and wash it off with cold water. Honey is a humectant that traps moisture in the skin, preventing dryness. Smear some honey to the skin and massage for 5 minutes. Leave it for 30 minutes and then wash it off. You can also mix honey with avocado paste to alleviate dryness. Massage the skin with almond oil 1 hour before taking a shower. This is a very effective method for alleviating skin dryness. Alternatively, you can also apply coconut, oil and avocado oil. Milk is an excellent natural cleaner to boost the skin hydration. The lactic acid in milk acts as a mild cleanser, whereas the fat in it moisturizes the skin. Take half cup of whole milk and dip a baby washcloth in it. Massage the skin with the washcloth and wash it off after 20 minutes. This will make the skin plump, soft and rehydrated. Do not forget to remove the makeup before applying the milk. Banana is an excellent natural ingredient for rejuvenating the dry skin. Mash half banana and add 2 teaspoons of yoghurt to it. Spread the mixture on the face and rinse it off after 20 minutes with lukewarm water. You can also add honey to increase its effectiveness. Cocoa butter is very useful for alleviating skin dryness. Rub cocoa butter on the skin and wrap it with a cloth to let it penetrate deeper into the skin. Leave it for an hour and wash it off. You can also leave it overnight. Cocoa butter contains antioxidants that help to delay the onset of ageing. Glycerin is a holy grail for dry skin. Mix a few drops of lemon juice with glycerin and rub it on the affected areas. Apply a soothing aloe mask twice a day to hydrate the skin and reduce inflammation. The antioxidants present in the aloe vera gel help to erase wrinkles from the skin. Squeeze the gel from the aloe leaf and apply it on the clean skin. Leave it for 15 minutes and then rinse off. Visit the doctor if your dry skin turns into eczema or psoriasis. These conditions are quite difficult to manage with simple home remedies.